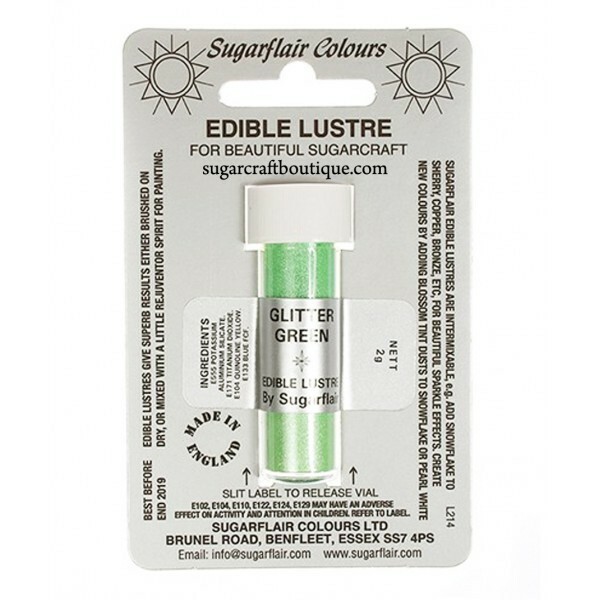 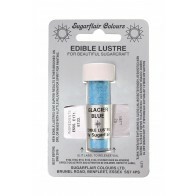 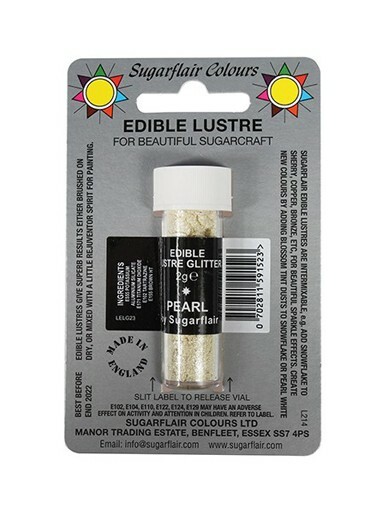 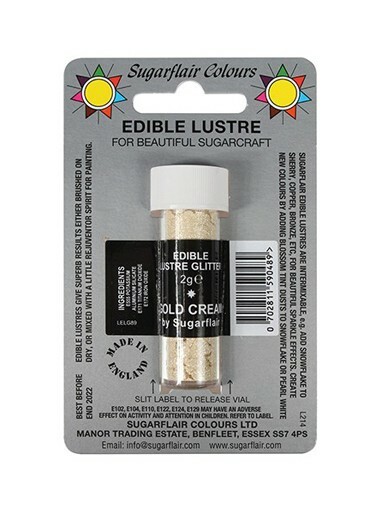 Edible Lustres are dry, fine powder icing colouring dusts. 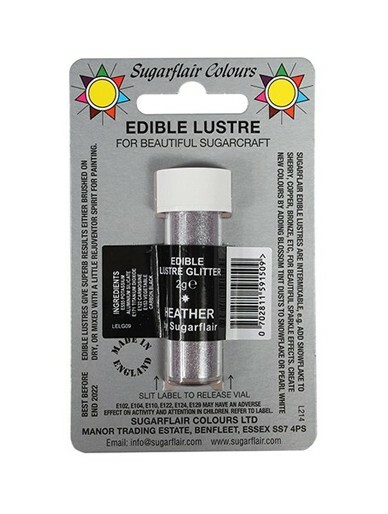 These glitter variants add additional sparkle over the core range of lustre dusts! 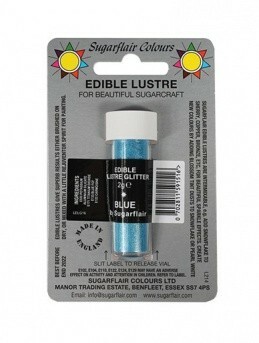 Their main use is for brushing onto sugar work to produce a gorgeous, subtle, light catching lustre effect. 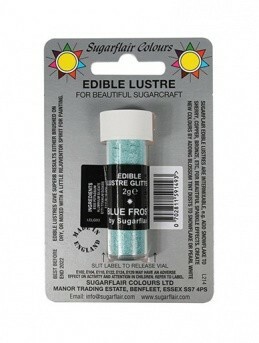 Brush onto sugar flowers to highlight surface decoration. 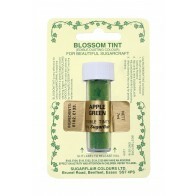 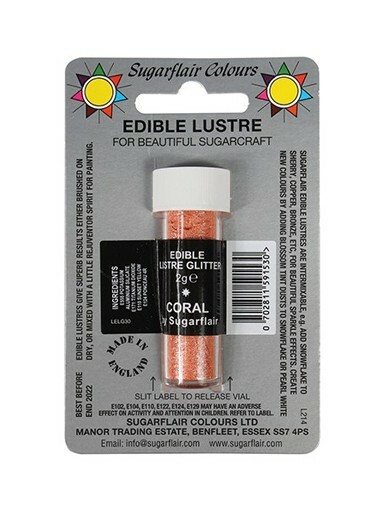 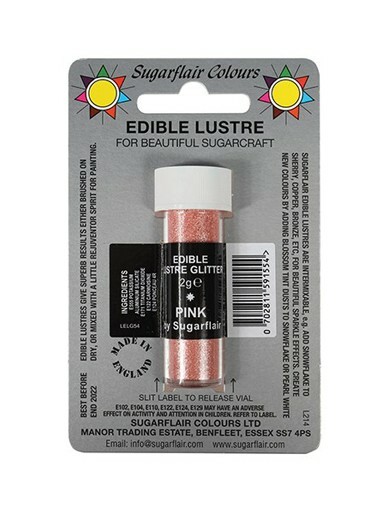 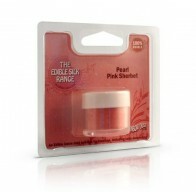 Mix with Blossom Tints or other Edible Lustres for infinite range of shades. Mix your lustre with Rejuvenator Spirit or clear alcohol to produce an edible colouring for painting on to icing.